Caltrans has determined that the bridge structure underneath the Highway 101 northbound central San Rafael off-ramp is seismically obsolete. 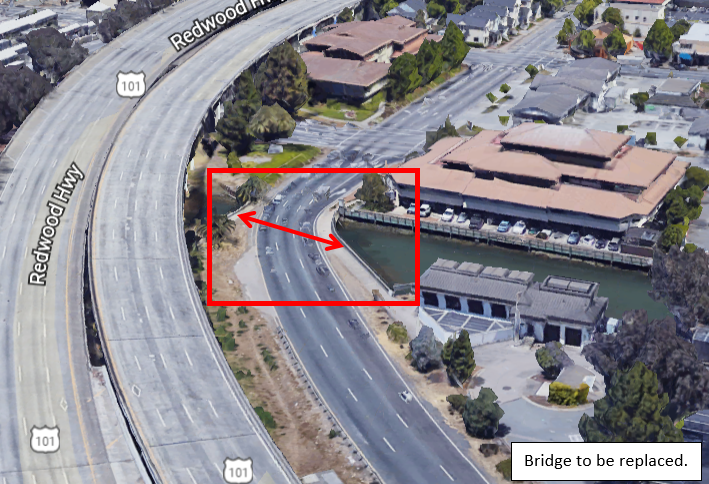 This off-ramp is used by thousands of vehicles every day to access downtown San Rafael and west Marin County. The California Department of Transportation (Caltrans) and San Rafael have been working together for some time to design the replacement bridge and Caltrans had intended to reconstruct the bridge in the summer of 2019. However, construction bids for the project came in higher than the anticipated budget. As a result, Caltrans must seek additional funding and anticipates construction will now occur in summer, 2020. Caltrans is the lead agency for this project. The work consists of removing the existing concrete bridge and installing a new upgraded structure. Replacing the structure will include driving new piles to support the off-ramp. Pile driving is a noisy process that will impact San Rafael residents. 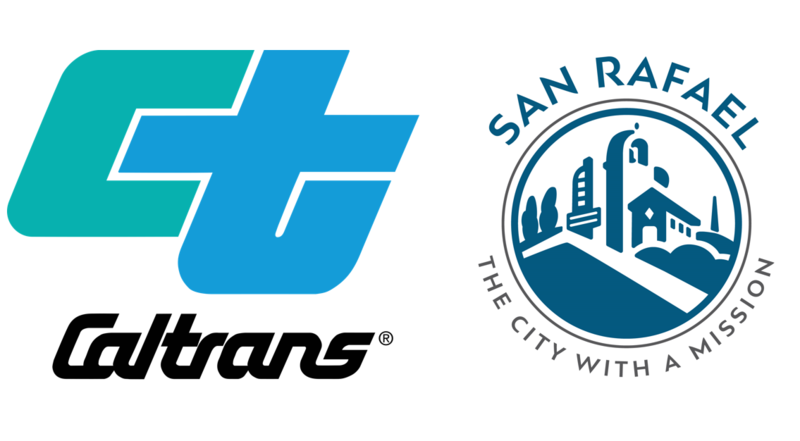 Caltrans proposed three options and San Rafael prepared an online survey where the public could choose which of the three methods to pursue. Based on the results of the survey, Caltrans intends to completely close the off-ramp for three 3 nonconsecutive weekends (11 PM Friday to 5 AM Monday) with pile driving around the clock when they begin construction in early summer, 2020. Detours will in place around this off-ramp during the three closures. 5 full weekend closures (11 PM Friday to 5 AM Monday) with pile driving occurring from 7 AM to 10 PM each day. The first three weekend closures will be consecutive. It is anticipated that the rest of the project can be built while the bridge remains open to traffic. Significant lane changes will be made to keep the off-ramp open during construction including shifting lanes from side to side, so the contractor can construct the new bridge while the off-ramp stays open. Construction is anticipated to last one year. When the work is completed, the bridge over San Rafael Creek will be a new seismically safe structure. In addition, the city has been working closely with Caltrans to add an additional right turn lane onto second street to reduce queueing on the freeway. Pedestrian safety will be enhanced at the intersection of 2nd Street by relocating the crosswalks in the intersection. Pedestrians will be able to cross the streets without interfering with turning cars on both Second Street and Irwin Street. San Rafael will continue to provide updates about this project as they become available from Caltrans. Questions? Contact us or CALTRANS!